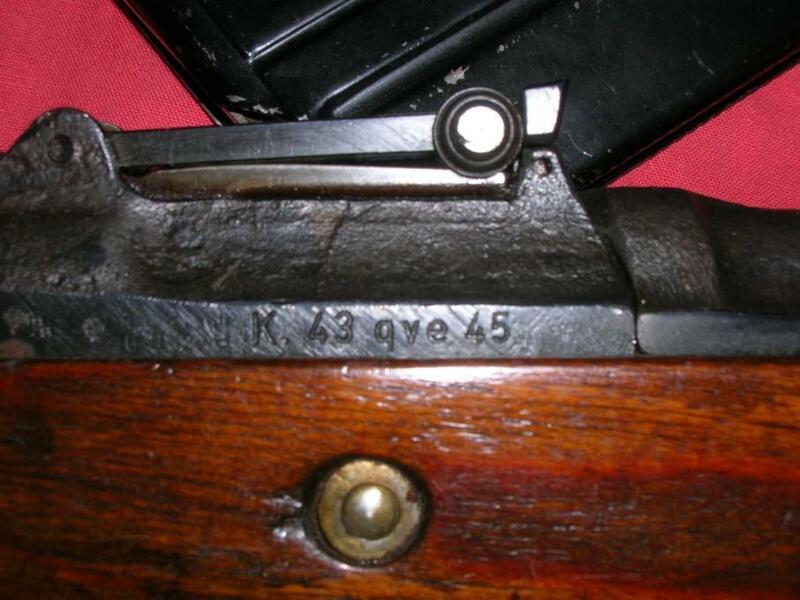 A "k.43" made by "qve 45" (Berliner Lubecker Machinenfabrik - Berlin - 1945). 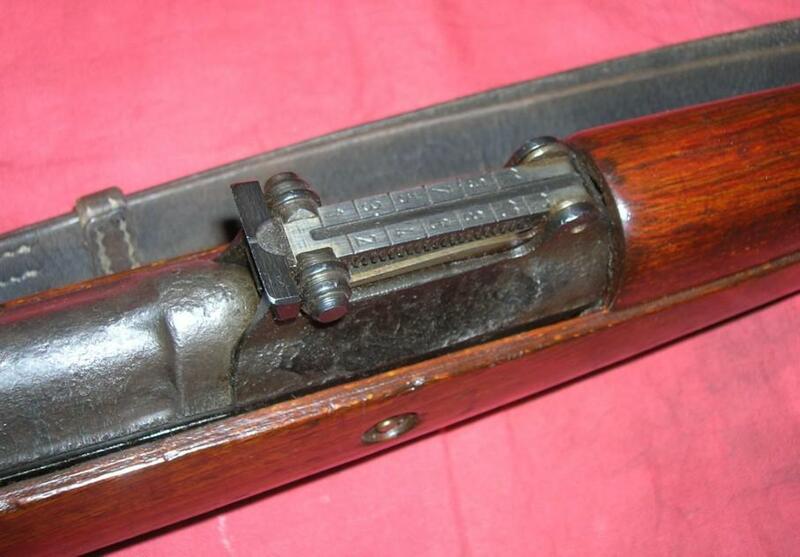 One of the last as you can see by the rough finish and the absence of the bolt carrier stop button and no threaded muzzle barrel. 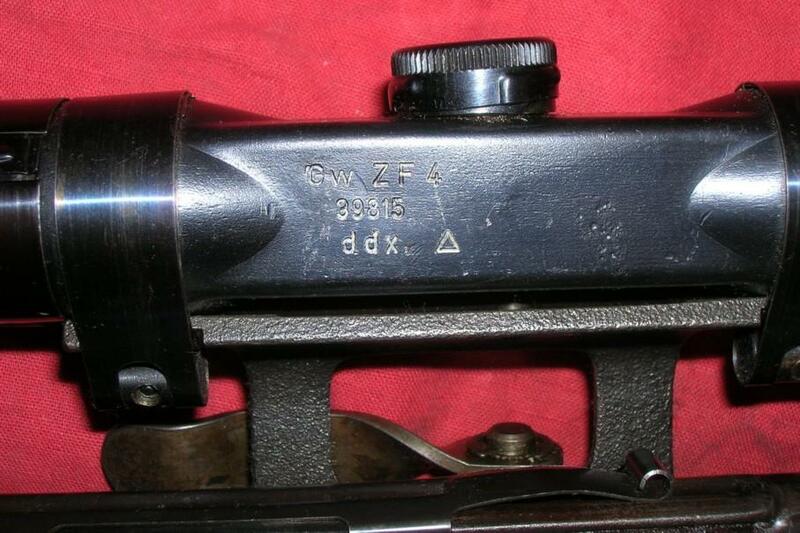 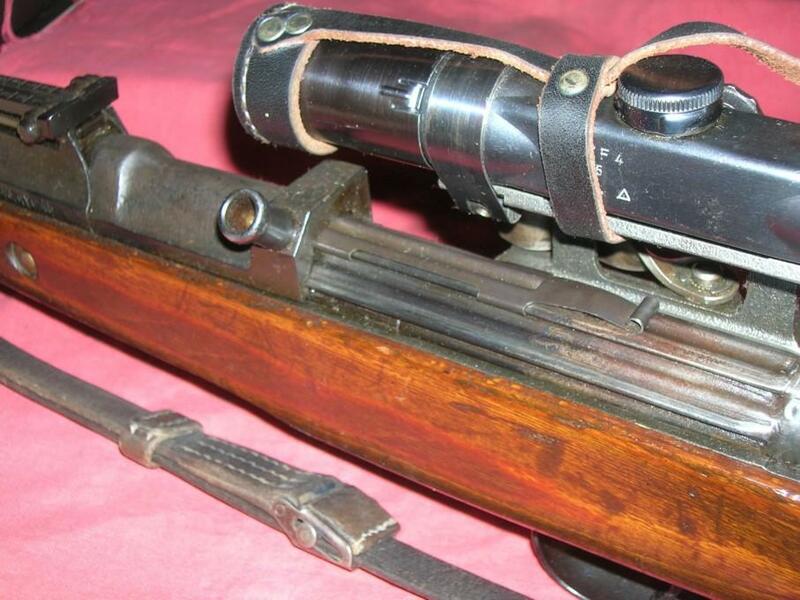 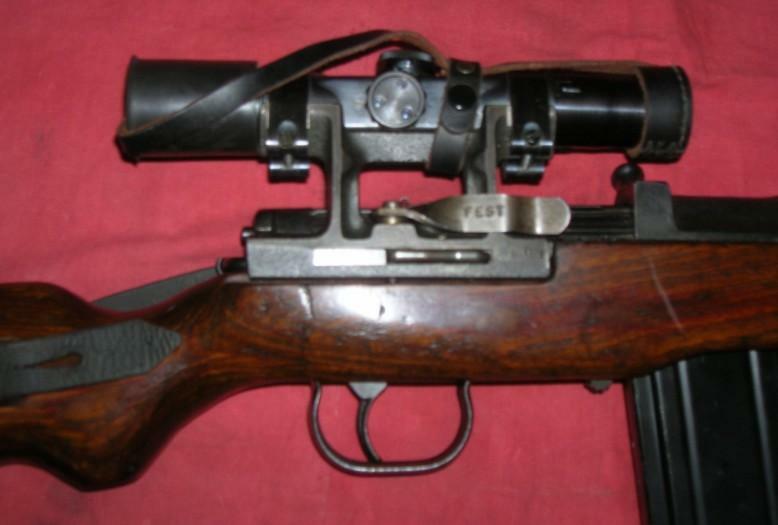 Equipped with a "ZF4" 4x telescopic sight made by "ddx" (Voigtlander & Sohn - Braunschweig) and an experimental 20 round magazine (see "Hitler's Garand - page 212) black painted with no markings. 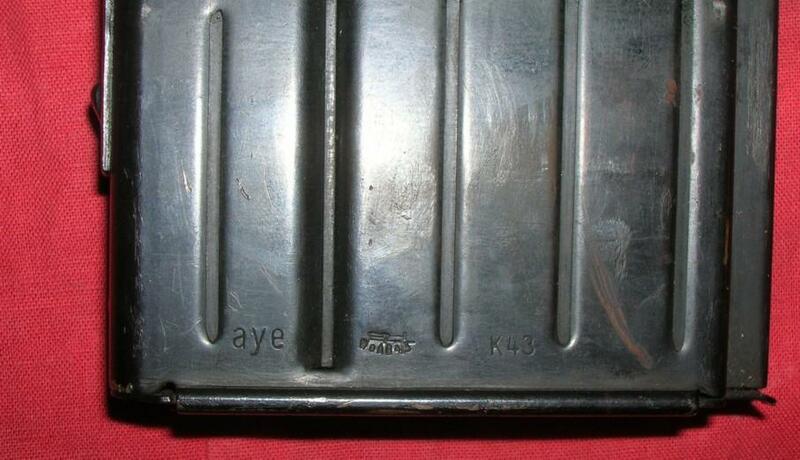 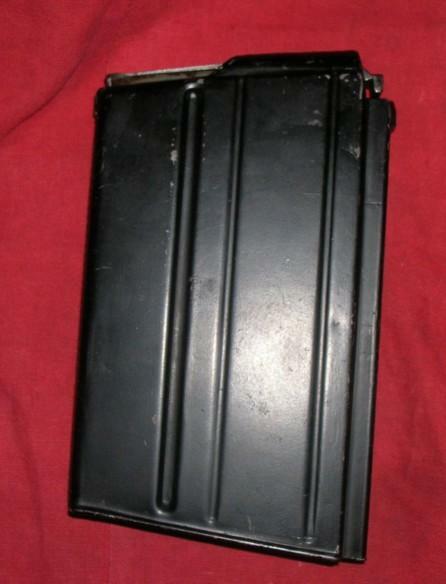 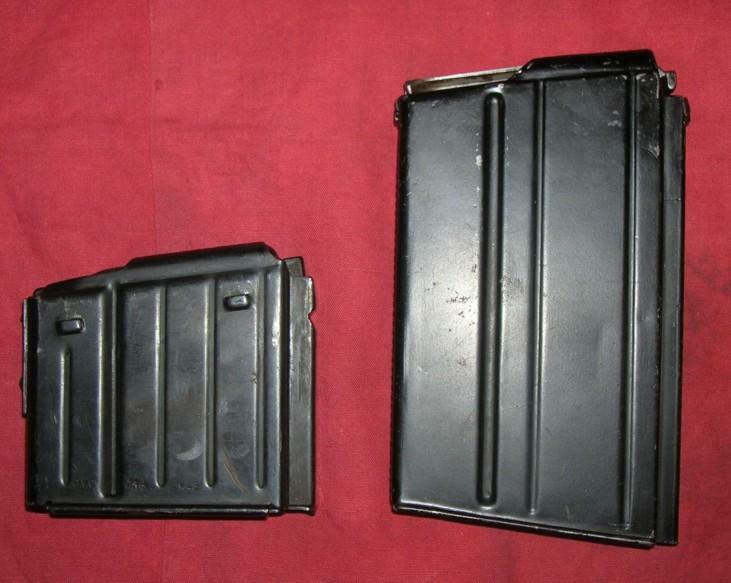 For comparison a standard 10 round magazine marked "aye" (Olympia Buromaschinenwerke AG - Erfurt) and "K43". 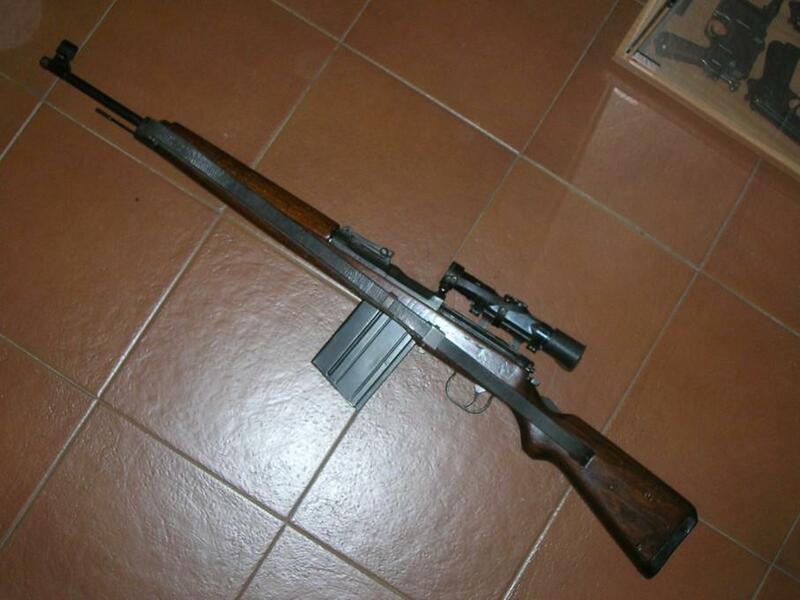 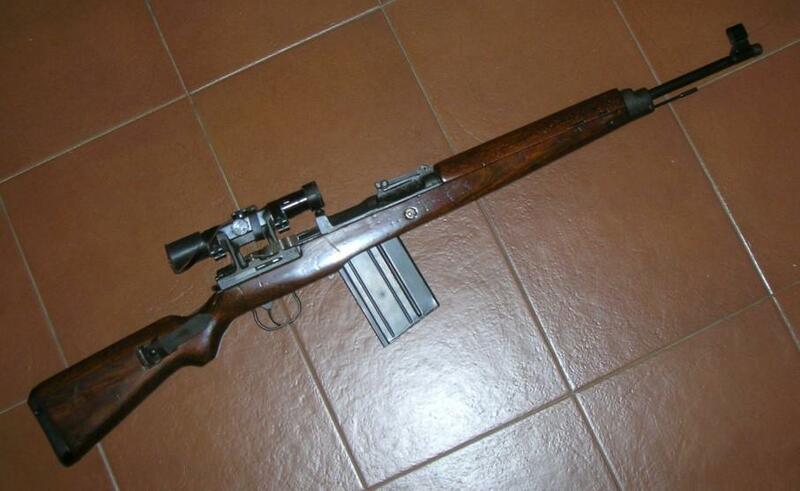 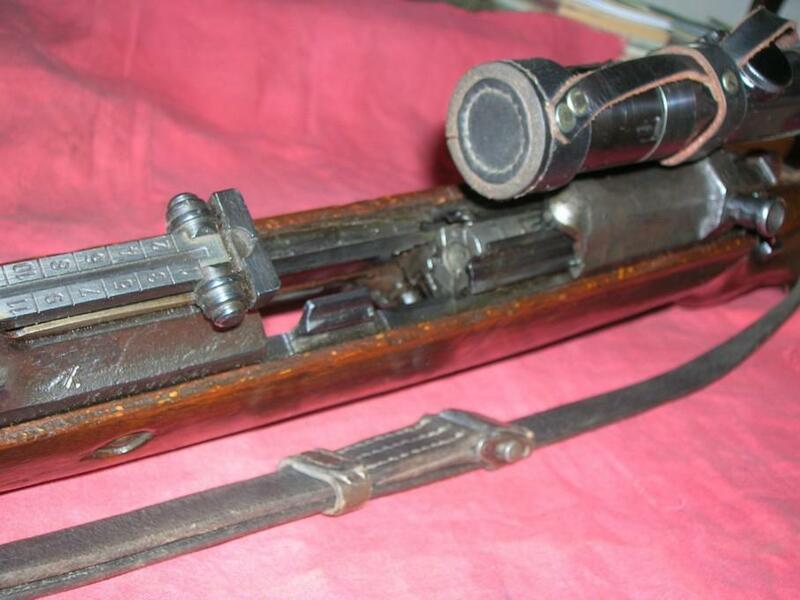 The leather sling is longer than a standard Kar98 one and the "mundungskappe" is closer a Kar98 one (because of a different external barrel diameter). 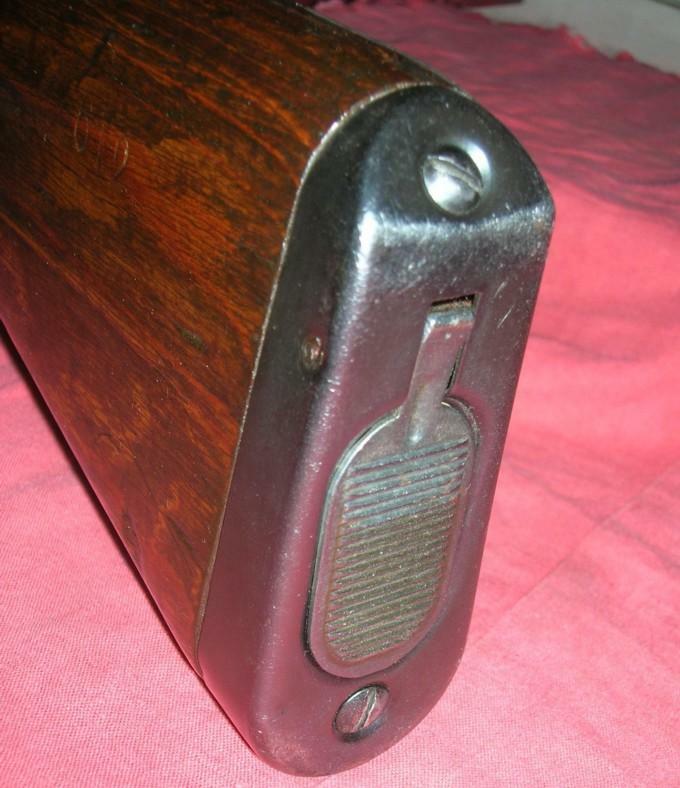 Strangely it has a stamped metal dust cover (discontinued from 1944), but it may be put on by the previous owner.